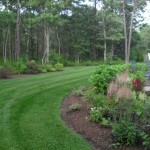 “Over the past two years Alecio and Lucas have done wonderful work in my yard. The first summer, I had trees trimmed, cut down and removed. Last summer, 2012, my yard was completely transformed into a very lovely landscape. The work was extensive. 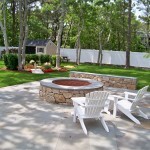 The yard was completely dug up and replaced with beautiful rocks, stonework and a lovely walkway. In addition, they put in three new flower gardens. I have nothing but high praise for the Landmasters Team of workers. 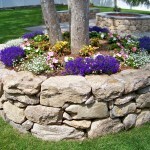 They not only did beautiful work, they were courteous and friendly. They also performed a number of activities, not called for in my contract. The contracted job was pretty expensive and they worked diligently to complete the task in a timely manner. They were attentive to detials and careful to make sure the work was well done. I also believe that hey were very fair in their prcing.